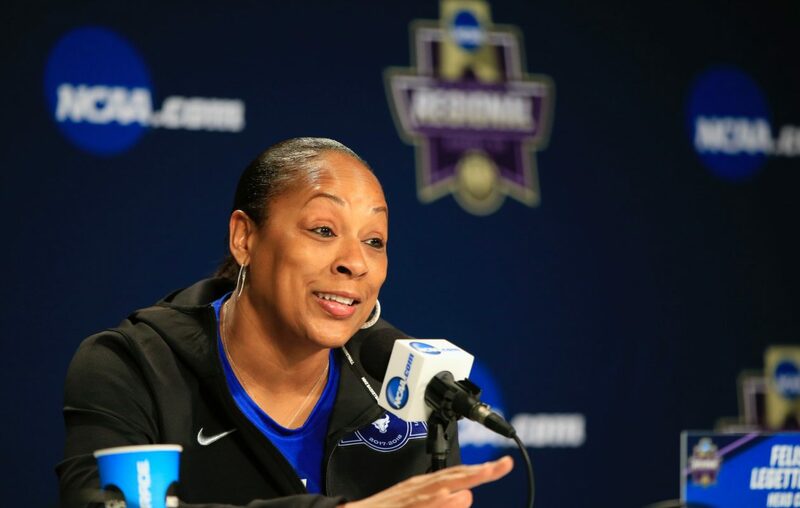 University at Buffalo women's basketball coach Felisha Legette-Jack is a candidate for the same position at Georgia Tech. Multiple reports state that Legette-Jack will interview for the Yellow Jackets' opening, and the Atlanta Journal-Constitution reported Thursday that Georgia Tech athletic director Todd Stansbury was to interview Legette-Jack. The Journal-Constitution also reported Legette-Jack could also interview with Georgia Tech associate athletic director Joeleen Akin this weekend in Tampa, Fla., site of the women's Final Four. Georgia Tech looks to replace MaChelle Joseph, who was fired in March after 16 seasons, following an investigation that found players said she was emotionally, mentally and verbally abusive. Joseph denied those allegations. Legette-Jack was also reportedly a candidate for the opening at Penn State, which later hired Marquette coach Carolyn Kieger. Legette-Jack recently completed her seventh season at UB, and led the Bulls to their third NCAA Tournament berth in the last four years.